Machine identity: These instructions are provided for descaling a traditional espresso machine with water reservoir. Your espresso machine must have a single internal boiler that provides both water for espresso extraction and steam for steaming/frothing milk. This machine typically has a separate switch for activating steam mode. Requirements before you start: cold espresso machine in power off position and plugged into outlet, descaling product, mixing container/pitcher, fresh water, 8 oz or larger cup. 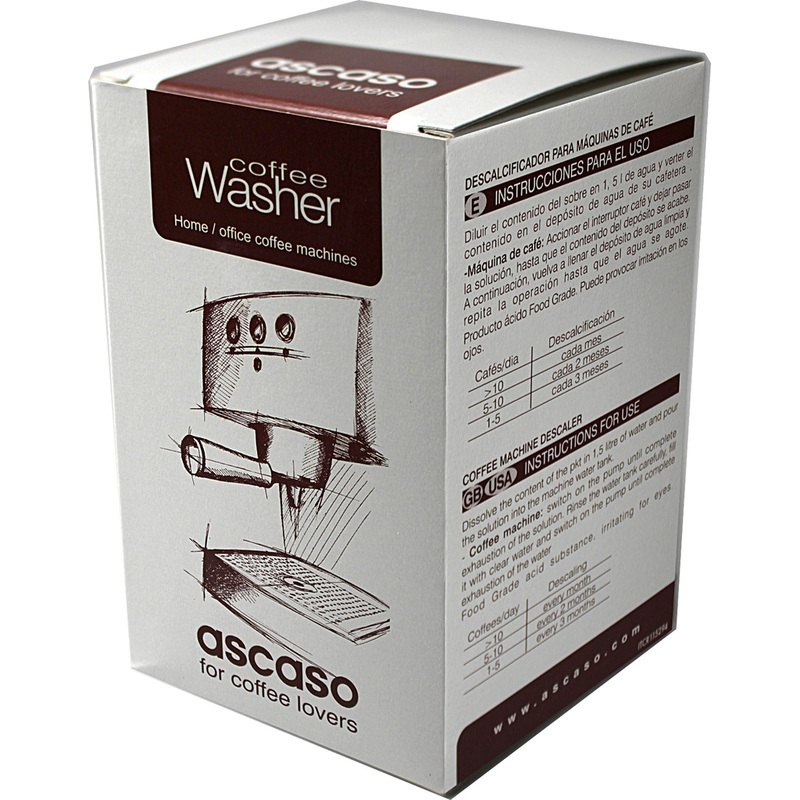 Place 8 oz or larger cup under steam wand. In coffee/hot water mode, open steam wand knob to full open position. Properly dispose of descaling solution from cup. Repeat steps 5 through 10 three more time.